Other than the ideas mentioned above, consider car washes, selling raffle tickets, or holding a spelling bee. High school age teens may want to participate in a walk-a-thon or some other type of marathon. Much of the method you choose to raise funds depends on the age of the children involved, and the interests of the community. 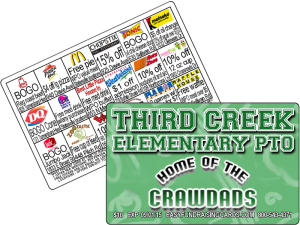 Regardless of how you choose to raise funds, include products such as fundraising discount cards on the side to add to your profits! If you are struggling for school fundraising ideas, what better way to raise money for your cause than return to the basics and include a raffle at your next fundraising event! Raffles are a regular feature in many a fundraiser and can be a great success if they are run well. They are fun for everyone involved, providing excitement for the buyers of tickets that can be shared with the organizers.